​Here in Sonas, we recognise the importance of physical activity and healthy eating. We are an Active School. We received the Active School Flag on 25th October 2016. An Active School is a school that strives to achieve a physically educated and physically active school community. The promotion of physical exercise through the curriculum, at an age appropriate level, is central to the Active Schools ethos. The PE and SPHE curriculums ensure physical activity and healthy eating are part of school life. They are supported by OT and physio programmes, as well as Fun with Food/cookery activities. Physical activity is incorporated throughout the school day – examples include: bikes, walks, PE, gymnastics, swimming, ball pool, soft room, gross motor room, OT programmes. We recognise the importance of developing children’s core strength, coordination skills, gross motor skills and body awareness. Physical activity is also important in helping children to be regulated, calm, focussed and ready to learn. It is important to incorporate physical activity throughout the whole day and not just the hours the children are in school. 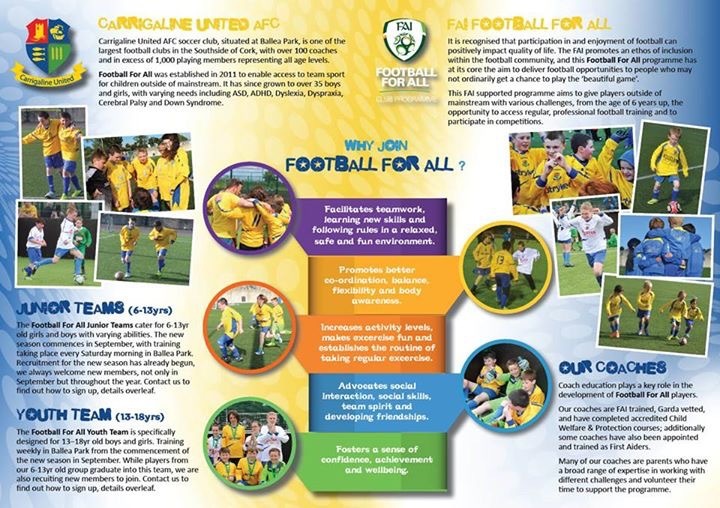 Active School Week took place this year from the 28th of May until the 1st of June. There were different activities organised for each day. Some of these activities included a sports day, obstacle course, teddy bear's picnic, class walks, gymnastics and cycling. For Halloween 2017, we held a Halloween party that included some spookey physical activities! We played Pumpkin Bowling, threw beanbags into the “mouth” of a pumpkin (painted on cardboard box), and raced to gather up all the plastic eyeballs and put them back in the box!! 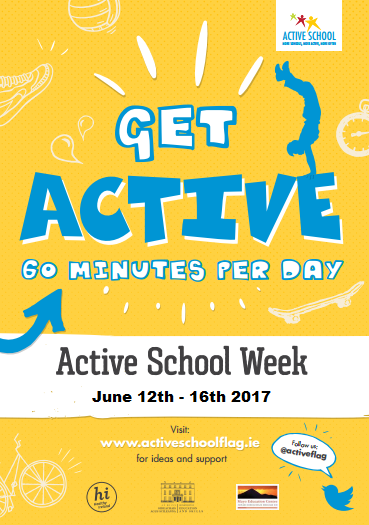 We had our annual Active School Week from 12th to 16th June 2017. We had obstacle courses, sports day, cycling, games and gymnastics. All the pupil's in Heron's Wood went to Kool Kidz (indoor play centre) for their Easter outing on Friday 31st March 2017. Our previous Christmas and Halloween outings were also to Kool Kids. The pupils in Heron's are participating in PE sessions run by 4 CIT students as part of the Cork Sports Ability initiative (21st & 28th March and 4th & 25th of April 2017). Students in Cork Road completed the same program in October & November 2016. We all participated in the Active Schools' 10 @ 10 initiative, which involved 10 minutes of activity at 10 o'clock on the 10th of February 2017. Day to day Sonas is a very active schools with all students participating in bikes, walks, and PE. As an active staff we have set up a weekly walking/jogging club. Our active school community includes our swimming instructor Rose and gymnastics instructors Elaine and Deirdre. 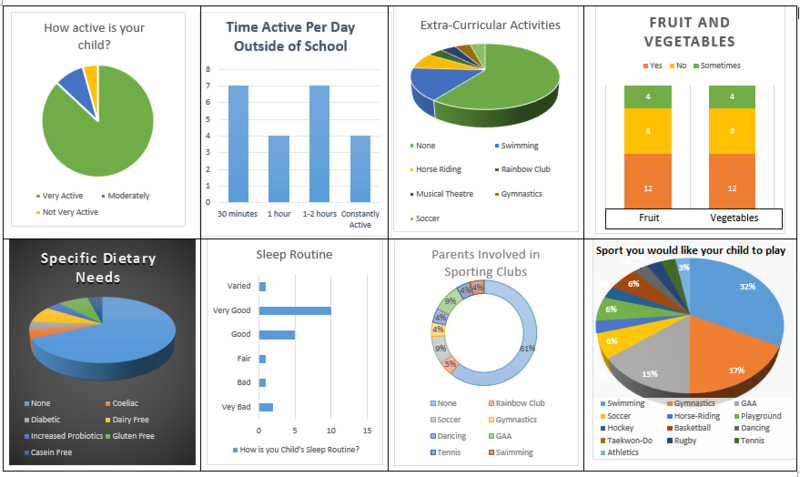 As part of our Active Schools initiative we undertook a survey of parents to establish activity levels outside of school. We also looked at factors that may affect activity such as diet and sleep routine. As part of our ongoing Active Schools initiative we hope to gather information for parents regarding local amenities which are both age appropriate and provide an adapted environment for children with Autism. Please contact the relevant organisations for more information. Get Ireland Active (www.getirelandactive.ie/preschoolers) is an online resource with helpful tips, links and information on how you and your family can get active and maintain a fun healthy lifestyle. You'll find some age appropriate suggestions on their wesite and a search engine to find amenities promoting activity in your local area.